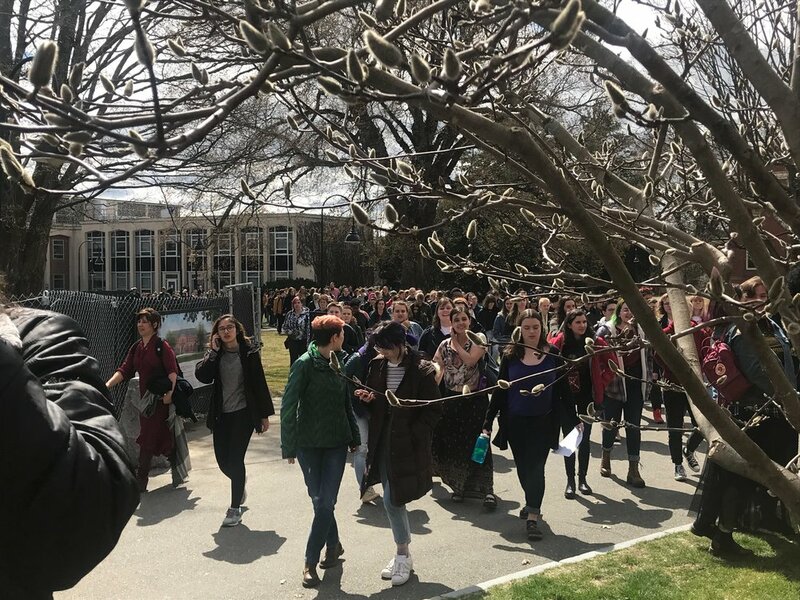 Update 3: The Sophian has obtained footage of the protest at the JMG and has updated the article; updates are written in bold. Update 2: President McCartney sent out an email to students, staff and faculty that due to a “lack of trust” in Daniel Hect, he has been placed on administrative leave. Deputy Campus Police Chief Ray LaBarre has been appointed as the acting Chief of Campus Police. A session about policing in a diverse community quickly turned into a protest calling for Daniel Hect, the new campus chief of police, to resign. The session began in the Weinstein Auditorium but was quickly moved to the JMG due to the number of people who wanted to go to the session. Although it was meant to have two parts – one with Earl Brown and Josh Dufresne and another with Daniel Hect – the audience, holdings signs that said “Protect undocumented students!” and “Build a wall around racists,” quickly made it known that they were only interested in Hect’s presentation, and so, when the audience moved to the JMG, he took to the stage. The session ended when a student asked if he would resign; he said, “No.” The student asked the audience, many of whom were Smith students of color, whether they wanted Daniel Hect to resign. They shouted, “yes!” and after this, they all left. Tomorrow, the SSJIC will protest at the JMG at 12:30; supporters, they said, should wear red. *This is a developing story; updates will be posted as they come.